Organic, farm raised venison is great in any dish, and now you can order our venison online! Start with tender chunks of our venison meat to make a great venison stew. Farm-raised venison is the healthy choice. Boneless venison steaks ready for the grill. 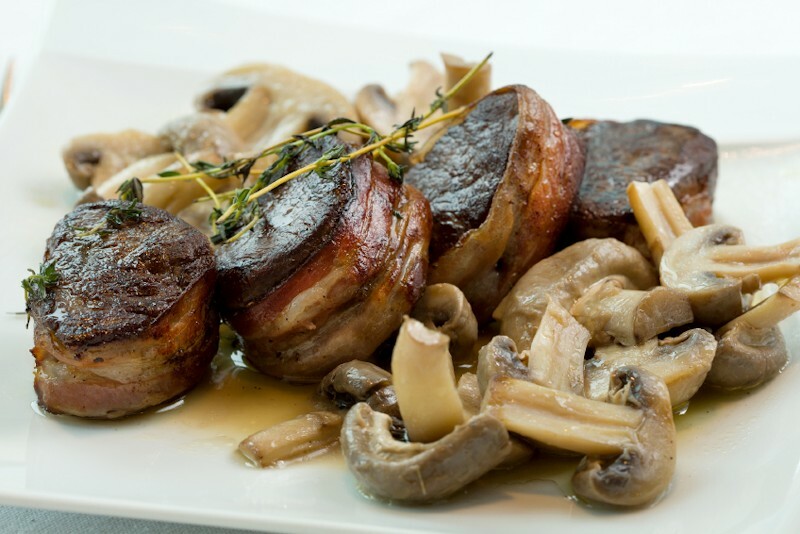 Our classic cut venison steak medallions are free from hormones and low in fat & cholesterol. Orders are shipped via Federal Express Overnight within the United States. Due to our rural location, orders may not ship on the day that they are received, they normally ship overnight on the next business day. Orders placed on Friday will be shipped on the next business day. If you would like the order shipped on the day it is received, please call us directly at (620) 345-8415 to see if same day service is available. OUT OF STOCK – Vension Short Ribs –$7.00 lb. OUT OF STOCK – Venison Ossco Bucco – $6.75 lb. OUT OF STOCK – Venison Heart – $4.00 lb. OUT OF STOCK – Venison Liver – $4.00 lb. OUT OF STOCK – Venison Chops – $30.00 lb. OUT OF STOCK – Vension Shortloin – $30.00 lb. Did you know that Underhill Farms Country Inn Bed and Breakfast provides all the comforts of home while staying on a working farm? Enjoy a wonderful breakfast each morning! Read more about our Moundridge Kansas bed and breakfast.